Stineplays held a recent Chicken Run to Minas Tirith! Click here for the video. Arda and Eluilind present a Tribute to the Russian rock band Aria on November 24th on Laurelin! Click here for details. Die Bunten Vogel and Die Mondbarden present Third Jugglers-Night on Belegaer on November 25th! Click here to learn about this special event, which includes juggling, theatre, riddle, show fights, racing, fireworks, and more! Polnolunie present My Wandering Soul, a lyrical and dance concert, on November 25th on Laurelin! Click here to get more info. The Dulcet Tones bring a variety concert to Crickhollow on November 26th! Click here to check it out. The Lothlorien Foreign Legion is a long-lived kinship on Brandywine! The Kin was recently reborn under the leadership of original founder Kuzo. The kin has a new web site, with fiction and more! Click here to learn more. Thank YOU for reading the LOTRO Beacon! If you feel like saying "You're Welcome", click the link below. The Floor is Lava in Episode 229 of LOTRO Players News. Click here for the show! LOTRO with Mort streams regularly on LOTROstream! Click here for a recent episode. Allupenya fellowship moves in his most recent livestream. Click here to check it out! Enzolas runs T2C Ost Dunhoth. Click here for the video! The Travelling Gamer brings the livestream! Click here to get it. GameolioDan heads to Minas Eriol! Click here to see how it went. Severlin writes about our upcoming plans in a new producer's letter! Click here to read it. Cordovan is accepting donations for Extra Life through the end of November! Click here to donate if you'd like to get in on the drawings in early December. We are previewing Update 21.3 on Bullroarer next week! Click here to see the previews so far. Cordovan answers your questions and fights snowbeasts in the latest +Cord of the Rings. Click here for the archive. LOTRO Family finds an excellent screenshot of the Last Bridge! 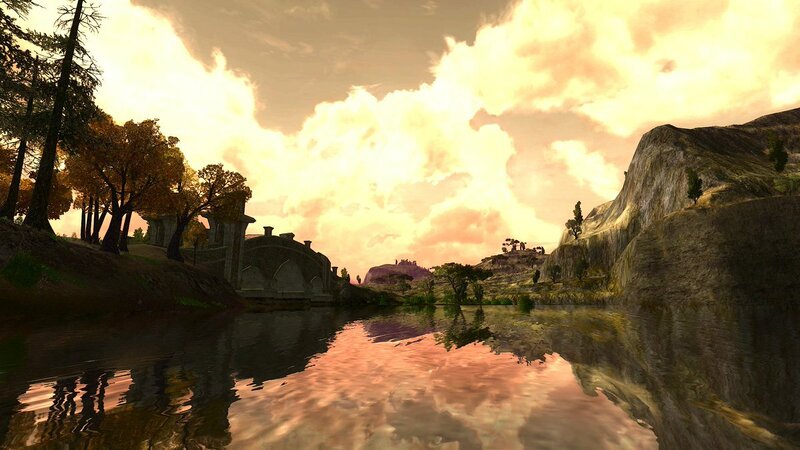 Click here to find LOTRO Family on Twitter, where you can also submit screenshots for a weekly competition! LOTRO Bonus Days bring you a 25% Crafting Boost, now through November 26th! The Weekly Coupon gets you a free Enhanced XP Supply x1 with the Coupon Code XPFORME, now through November 30th!